Boat Description Simply irresistible. 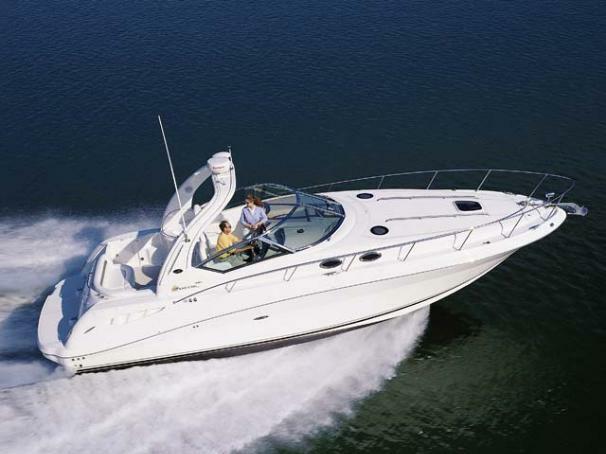 There`s no other way to describe the remarkable Sea Ray 340 Sundancer. Its timeless beauty and unmatched elegance make it clearly the best in its class. Powered by your choice of stern drive or inboard propulsion, this magnificent cruiser features dual bucket helm seats, extra-large control station, cockpit wet bar, awesome sound system, wide open cabin, and optional 23` flatscreen TV.